Scene Study & Cold Reading Technique is a 10-week class created specifically for the actor who wants to deeply invigorate and rev up their scene work capacity with an eye toward booking more acting work. 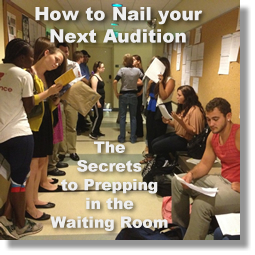 By pairing scene study along with cold readings, students will have the opportunity to both ground their scene work skills and then take them even further by tying them to the quick work that’s often required at an audition. When actors ask me what they should focus on to make the greatest progress in their acting, I always answer, “scene work.” Scene study lies at the very heart of acting technique. Whether it be stage, film or TV, an actor’s job is to connect and communicate and these essential components become magnified and sharpened through the detailed attention that scene work requires. Rhonda has this amazing ability to communicate acting technique clearly and concisely which helps to remove personal blocks so you can get out of your head and into the groove where magic happens. One of my students had been working with me for awhile when I gave her a scene that immediately seemed challenging to her. In fact, she was not at all interested in doing it! Much to her credit, she openly discussed her reservations not only with me but in front of the entire of the class. Because of her openness, she was able to move through some of her initial resistance. With a new frame of mind, she took a more in-depth look at the scene and became intrigued with its hidden merits. Using many of the tools taught in class – script analysis, given circumstances, relationship work, instrumentals and actions – she worked diligently, fostering the scene until it really began to click. She ultimately chose to perform this scene as part of an evening of scenes. Not only did she grow tremendously through the process, but she still sites that scene, in particular, as a force that realigned the way she approached all of her scene work and that which gave her both a deeper confidence in herself and her acting ability. Many teachers only tell you “what” you need to work on but don’t tell you “how” which IS the key to getting better quicker. With Rhonda you will receive strong, effective techniques that will give you straight forward ideas and answers that will serve you in the professional acting world. Each week, actors will be up on their feet further developing their craft and adding new skills to their acting tool bag—this is not a sit-in-your seat lecture. 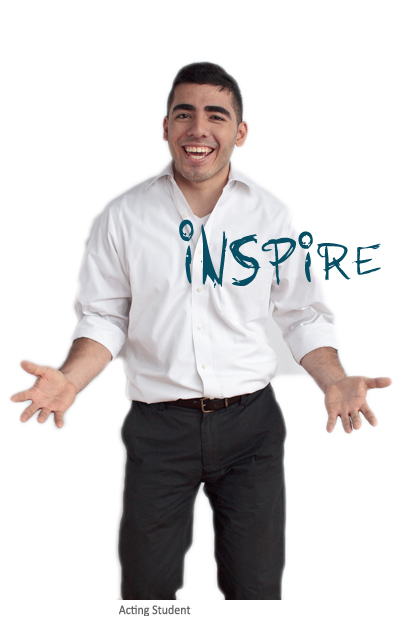 The class atmosphere is supportive and is the perfect environment to take risks in order to grow beyond limitations. Actors will be given challenging scenes that they may or may not have chosen for themselves. 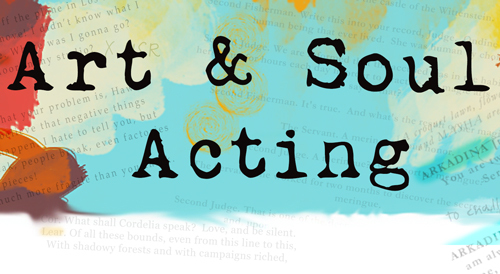 Each scene is fostered through a unique and expressive set of acting tools that are taught at Art & Soul Acting. SCRIPT ANALYSIS: Script analysis is approached both intellectually and instinctually. Students increase their skills at discovering the essence of what makes a scene come to life, which is not often readily apparent. Knowing how to find these clues and unlock their potential can often be the difference between acting results that are ordinary and those that are extraordinary. CREATING RELATIONSHIPS: Onstage relationships are built through the Relationship Workout, a student favorite that takes actors quickly and effectively to the heart of a relationship. CHARACTER DEVELOPMENT: The approach to character development is through high level play. Students become skilled at using tools such as Sub-Personality and Limiting Character to stretch beyond their preconceived ideas to arrive at behavior that is organic and completely life-filled. SPACE CREATION: Finding the right setting in which a scene takes place can often be the missing key that makes a whole scene come to life. Students learn how to physically create a rich and compelling space that enables the actors to truthfully embody their environment in service to the story they are telling. TAKING ACTION: Scene work is tied together by a powerful give, get or do – i.e. action-based – framework. My students swear by this vital acting tool! Once actors truly harness its power and easy accessibility, there’s no going back. BEING: The ultimate goal of acting is being: being present, being in the moment, being in connection with themselves, the other actors on stage, and the audience. Through the practice of the art of being in all of their work, students experience breakthroughs that ignite and energize their work. Rhonda stretched me as an actress in ways I thought not possible. She cares about each of her students whole-heartedly and her positive attitude makes your love of acting grow stronger. How do cold readings come into play? While students are building their scene work, they are also working in tandem on cold readings. The skills from scene work map over perfectly to cold readings; however, the work required for a successful cold reading often must be done under a time pressure element. Throughout the 10-week course, actors will take their scene work skills and apply them to cold reading in the quick manner of the audition process. This class is designed for students with prior acting experience. It would not be appropriate for actors at the beginning level or those who have no prior acting experience. If you are a beginning actor or have been acting for a while and would love a riveting acting brush-up, please check out Core Acting Technique. Scene Study & Cold Reading Technique is currently on hiatus.